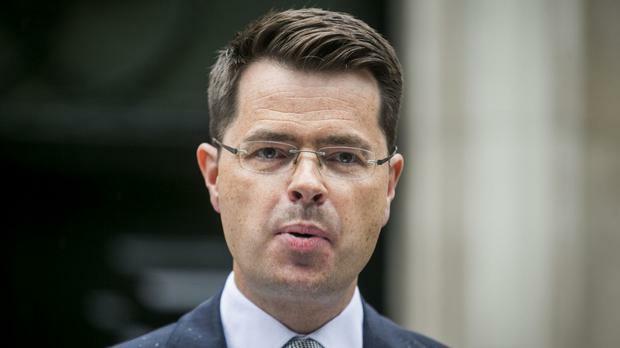 Cabinet minister James Brokenshire said preparations for a no-deal Brexit were being stepped up in case Theresa May’s plan is rejected by MPs in January. “We have been taking (the prospect of) no deal seriously for quite some considerable period. It’s not what we want to do, it’s not what we still expect to do – because we want to see the deal secured, the vote through Parliament – but I think it is right and proper that we maintain our work on preparing for a no deal, however reluctantly,” he told BBC Radio 4’s Today. The Communities Secretary would not be drawn on whether the Cabinet would make a no-deal Brexit its “central planning assumption”, stressing that “clearly it’s not something the Government wants to see”. Prominent Brexiteer Jacob Rees-Mogg suggested that Theresa May’s position was now under threat more from pro-EU Tories than Eurosceptics if there was a full-blown confidence motion in the Government. “Under the Fixed-term Parliaments Act I will always support the Conservative Government, I will not vote a Conservative Government out of office,” he told BBC Radio 4’s ‘Today’ programme. The MP, one of the ringleaders of the internal Tory effort to oust Mrs May, said: “I’ve had my vote of no confidence in her and I lost, and I’m not going to repeat the exercise. The Prime Minister is secure under the party rules for a year. Mr Rees-Mogg suggested that a “managed no-deal” Brexit was still an option if Mrs May’s plan was rejected by Parliament. “There are more things that could potentially be done, but while this deal is still on the table they are very unlikely to be done,” he said.